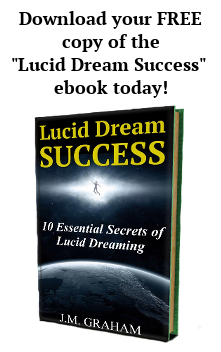 Download your FREE copy of the "Lucid Dream Success: 10 Essential Secrets of Lucid Dreaming" ebook today! While there are a number of lucid dream techniques out there, understanding them isn't that complicated. I will break down each technique and explain how they are each effective in their own way. This is the first type of lucid dream. When you notice that you are dreaming while inside of a dream, you are experiencing a DILD. This is the second type of lucid dream. When experiencing a WILD, you enter a dream immediately upon falling asleep and are lucid from the beginning. This technique was made popular by lucid dream researcher Stephen LaBerge. It is by far the best technique for increasing the frequency of your lucid dreams, making it possible to have multiple lucid dreams in the same night! This is my favorite lucid dream technique for having WILDs. It is to be attempted after 4-6 hours of sleep. It works best when you wake up and get out of bed for at least 30 minutes. Then retreat back to bed and transition directly into a dream. The majority of REM or rapid eye movement sleep occurs in the second half of your sleep cycle. When you deprive yourself of REM sleep (not getting a full eight hours of sleep), your body will try to compensate for that lost REM the next time you sleep. Using this to your advantage, you can increase your chances of having a lucid dream by limiting or suppressing your REM sleep. Naps are great ways to have lucid dreams. Taking a nap during the day also increases your chances of having lucid dreams at night. Ever wake up from a dream that you didn't want to end? Maybe you woke up too soon and want to go back? It's possible to re-enter when you learn the DEILD technique. If you often fall asleep when attempting to have a WILD, this can be a very useful method. It is great for learning to direct your focus when transitioning into the dream world. This state requires an acute awareness of your body and mind during the transition of falling asleep. The goal is to keep your mind awake and alert while your body falls asleep, thus allowing you to enter a dream effortlessly. Want a technique that doesn't involve a lot of finesse? SSILD focuses on the sensations from three of your senses to induce lucid dreams. Imagine a pill that allows you to lucid dream. While there are no pharmaceutical drugs that currently have this claim, there are several supplements that aid in promoting lucid dreams. Some with astounding effectiveness! There are more and more devices, apps, mp3s, etc. 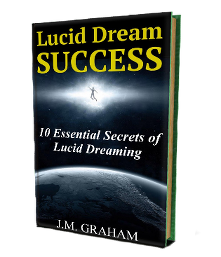 that are dedicated to helping you lucid dream. See which ones work to put your mind into an optimal state for lucid dreaming. What's Your Technique For Lucid Dreaming? What methods do you use to lucid dream? Have you modified or combined techniques to work better for you? How so? What's your approach? There are many variations to these lucid dream techniques so experiment and tweak according to what works best for you. Choose one technique (based on your experience level) and stick with it for at least a couple weeks. If you start experimenting with multiple techniques or switching frequently, you will get poor results. Stay focused!